Hypothyroidism is an endocrine disorder that results in a thyroid hormone deficiency. An underactive thyroid falls short in producing the quantity of hormones (T3 and T4) needed to manage your body. Your thyroid is a very small gland in your body yet has a huge responsibility. They influence the function of your cardiovascular, nervous, reproductive, and digestive systems. Patients often experience physical and emotional symptoms such as depression, anxiety and weight gain when their thyroid gland is sluggish. Hashimoto’s thyroiditis is an autoimmune disorder that occurs when your antibodies attack your thyroid tissue. The cause of this autoimmune disease is considered unknown. However, many natural medical doctors believe that your diet, toxicity and stress play a role. Endocrine disruptors, such as environmental toxins, affect how your thyroid gland functions. Patients treated for hyperthyroidism often develop an underactive thyroid. This can happen when radioactive iodine or anti-thyroid medications are used to reduce your thyroid function. Thyroid surgery and radiation therapy affect the function of your thyroid gland. Diet and lifestyle factors also play a role in Hypothyroidism. For example, iodine, zinc and selenium are necessary nutrients that your thyroid needs to function properly. The emotional symptoms associated with hypothyroidism include depression, anxiety, and mood swings. Depression is the most common mood disorder linked to hypothyroidism. However, some people who suffer from low thyroid feel nervous, irritable and anxious yet this is more commonly associated with hyperthyroidism. How is the Anxiety of Hypothyroidism Treated? 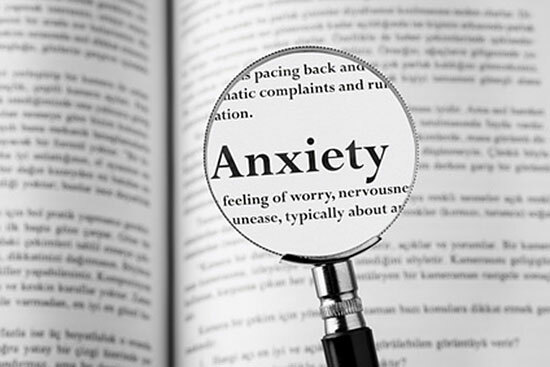 The anxiety related to hypothyroidism is unique because it is caused or aggravated by a hormone imbalance, rather than being exclusively related to an incident. The thyroid hormones, T3 and T4, play an important role in regulating the function of GABA, serotonin, and norepinephrine. These neurotransmitters are responsible for leveling your moods and keeping you happy and calm. When your thyroid hormone levels are insufficient, it can throw off your neurotransmitters and induce anxiety. The best approach is to address your underactive thyroid while simultaneously developing skills to manage your emotional health. 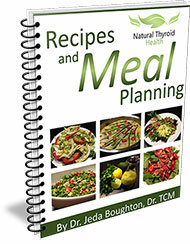 Eating a healthy and balanced diet can help regulate your thyroid. I encourage patients to avoid processed foods, preservatives, and artificial flavors. Certain foods can help balance your thyroid such as coconut oil, seaweed, apple cider vinegar, and fish oils. Nutrients can also improve thyroid function such as L-Tyrosine, L-Arginine, and Iodine. Herbal remedies can boost the function of your thyroid hormones. For example, bladderwrack is beneficial for patients with iodine deficiency, Coleus increases the production of the thyroid hormone and Guggul can improve thyroid function. Meditation is a natural way to treat the emotional symptoms of hypothyroidism. Breathing techniques can help reduce physical and emotional stress. Meditation can decrease anxiety, increase energy, and prevent mood swings. This holistic approach can also lower blood pressure and improve the function of your immune system.